The VR-Link is a remote control and monitoring device that interfaces a Vector series transmitter with multiple extended control/monitor panels (ECMPs) and web based control and monitoring ability via an internal serial to LAN adapter. The serial to LAN adapter provides control and monitoring of the transmitter through audible alarms and status indicators in the form of a web page, which can be accessed over an Ethernet connection. 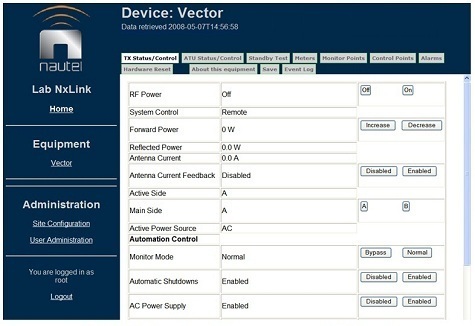 The ECMP is a remote control device used to monitor – visibly or audibly – and control the inputs and outputs of a Vector series transmitter. 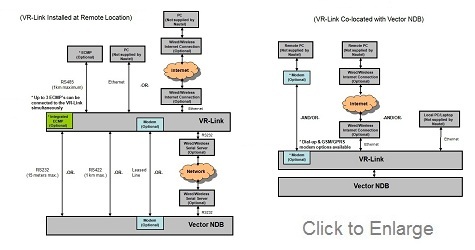 The VR-Link allows for connections with up to three external ECMPs and one internal ECMP via RS-485 serial communication. The available interconnection options allow for control/monitor capabilities at multiple locations and virtually any distance from the transmitter. Extensive control and monitoring capabilities with Vector transmitters and ATUs. Hosted web page eliminates the need for special host software. Ability to interface up to four ECMP units. System diagnostics, built-in test (BITE) and access to the Vector transmitter’s 256 event log are also available via the VR-Link. Remote connectivity options include RS-232, RS-422, leased-line, dial-up, radio and GSM/GPRS modems, and Ethernet. The VR-Link hosts a web page that can be accessed by any standard web browser so no special software is required at the remote PC/laptop. 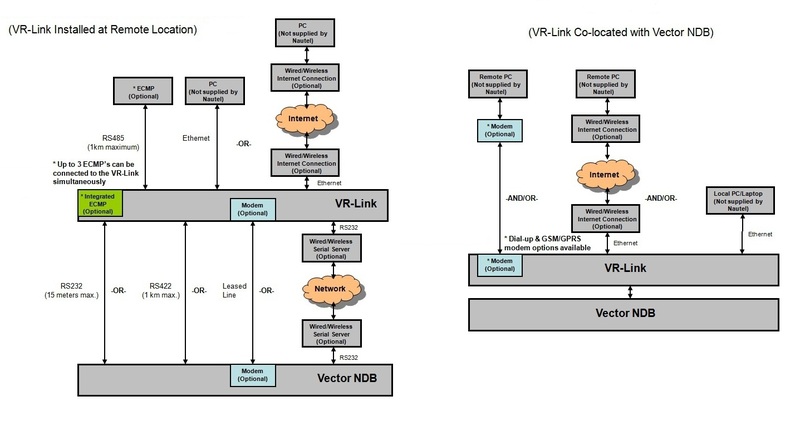 The VR-Link allows for connections with up to three external ECMPs and one internal ECMP via RS-485 serial communication.